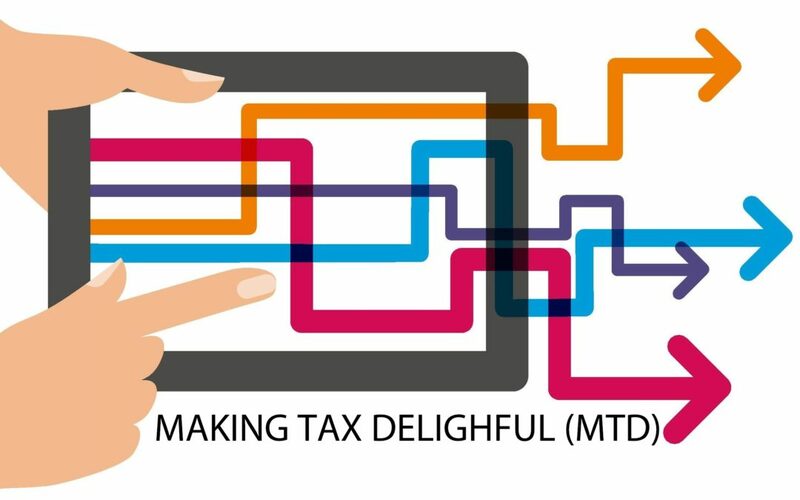 Making Tax Digital (Delightful is our objective ) is a key part of the government’s plans to make it easier for individuals and businesses to get their tax right and keep on top of their affairs – meaning the end of the annual tax return for millions. HMRC has been rolling this out in stages and most of you as individuals already have access to your personalised digital tax account already. HMRC’s ambition is to become one of the most digitally advanced tax administrations in the world, modernising the tax system to make it more effective, more efficient and easier for customers to comply. Businesses that are VAT registered will be mandated to use the Making Tax Digital for Business from April 2019 and then only to meet their VAT obligations. it will be also available to all other businesses on a voluntary basis and then made mandatory to all business from April 2020. As much complicated as it sounds the initiative will make tax reporting simple and effortless if you plan and prepare your business. Result is a delightful tax administration saving businesses time and resources currently allocated to administer its reporting obligations to HMRC. The new initiative will ensure better use of information, tax in real time, A single financial account and integration digitally with your accounting records. Same principal applies to individuals. The Personal Tax Account brings together each individual information in one HMRC online portal. It allows individual to access the service from a digital device of their choice and at a time that suits them. It enables them to register for new services, update their information and see how much tax they need to pay. Under Self-Assessment, over 10 million landlords/sole traders fill in a tax return to tell HMRC about their circumstances and income. This is a burden for individuals and inefficient for HMRC as well: mistakes can be made, or the information can be wrong or submitted too late, meaning the right tax is not collected at the right time and HMRC must take action. This can lead to penalties and interest charges for the individual which could have been avoided in the first place as most records are held digitally by other government departments, your employer or by the individual even if it’s a simple excel spreadsheet. Those who currently choose to complete tax returns simply to check their tax is in order will find all the information they need in their digital account. Your accountant or tax agent will be already gearing up for this change and guiding you on the steps you need to take now to prepare for this change. As an individual or a business there is range of cost effective solutions are available that can simply this reporting for you. At Outsourced ACC Ltd we started digitalising your clients since 2015 using affordable tools giving our clients the choice and flexibility. Our objective is to make this process delightful and prepare you for the future. Are you claiming Relief for Business Losses ?